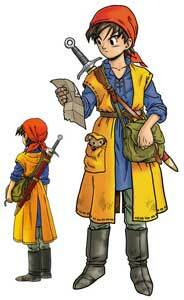 The Hero is the silent main protagonist in Dragon Quest VIII: Journey of the cursed King (2004) . 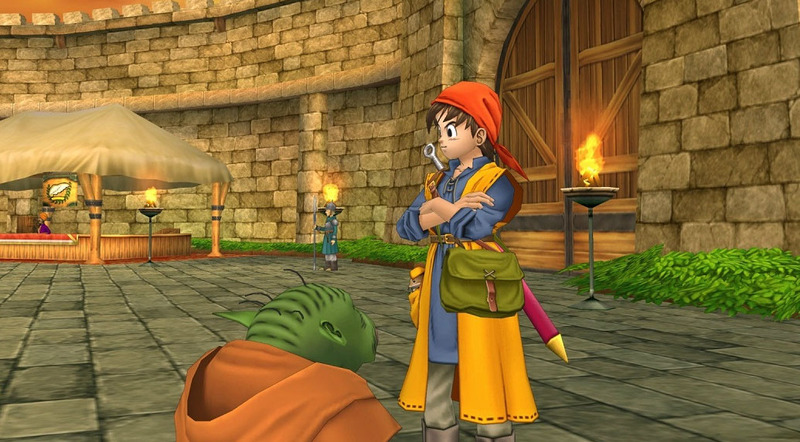 The game got ported to multiple platforms, the currently last ports were done in 2015 for the Nintendo 3DS. 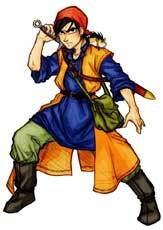 He did not appear in any other games so far. The Hero in DQ VIII is kind and humble, wears pretty casual clothes and can fight with multiple weapon types and use a big variation of spells including attacks as well as healing spells. He is accompanied by a mouse named Munchie. He is 18 years old and his default name is Eight.